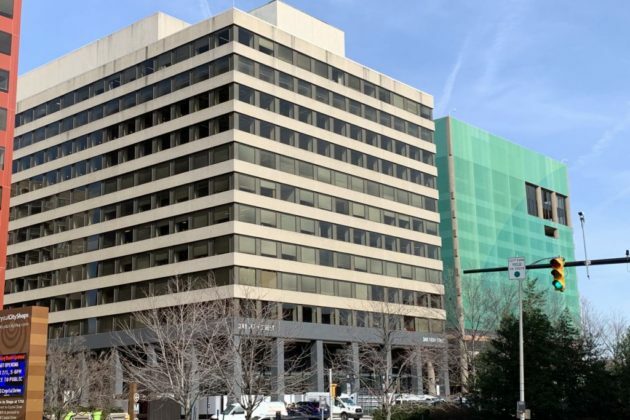 The office building at 241 18th Street S. that Amazon plans to occupy in Crystal City. (Updated at 4:45 p.m.) Once Amazon starts to move into Arlington, the company could take advantage of a little-used county incentive program for tech firms to substantially slash its local tax burden. Documents released in late January show that Arlington officials explicitly pitched the tech giant on the prospect of scoring major tax savings through the county’s “Technology Zone” program, back when they were still wooing Amazon last year. Created in 2001 and last updated in 2014, the program was designed to provide incentives for high-tech businesses to move to Arlington by offering significantly reduced rates for the county’s “Business, Professional and Occupational License” tax in certain neighborhoods. 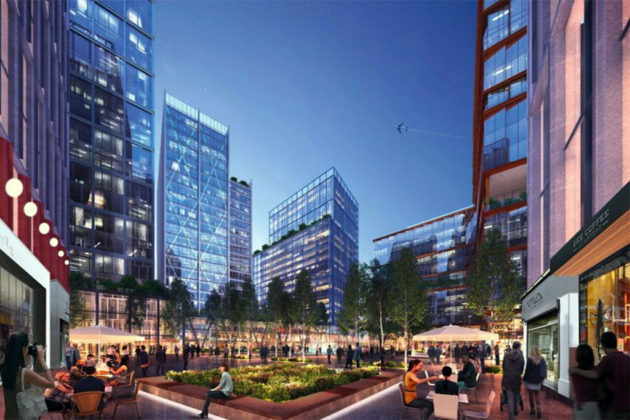 Amazon wouldn’t be eligible to apply for the tax break until it actually sets up shop at its planned destinations in Crystal City and Pentagon City. One of the county’s “Technology Zones” runs along the “Jefferson Davis Corridor,” including the neighborhoods near Route 1 that the tech firm hopes to someday call home. Once it arrives, however, the company could use the program to shrink its BPOL rate by as much as 72 percent for the next decade. The potential tax break was not described in the memorandum of understanding laying out the county’s promised incentives to the company signed by both parties on Nov. 9, 2018, nor was it mentioned in any subsequent announcement of Arlington’s plans for Amazon. Yet the county did advertise the program in documents dated Oct. 11, 2018, recently posted on the county’s website, outlining Arlington’s pitch to Amazon. Critics of the deal see this potential tax saving as part of a pattern for Amazon, however. 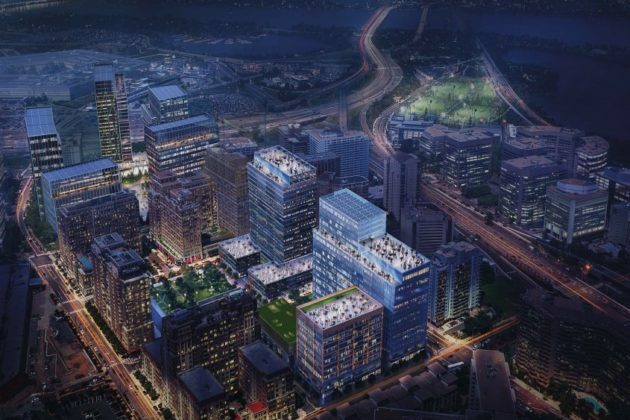 Amazon is already set to receive $750 million in state incentives designed to defray its state tax burden, and Arlington officials have insisted that the company’s massive expansion plans could have a transformative impact on the county’s flagging tax revenues. Yet this BPOL tax break could result in Arlington losing out on a hefty chunk of cash from Amazon — the county collected $65.6 million in BPOL revenue in the last fiscal year, its third largest source of tax dollars behind the real estate and personal property levies. The company has drawn criticism before for successfully avoiding paying any federal taxes for the last two years, largely by leveraging a mix of tax breaks and credits. But O’Donnell stressed that county officials “have not factored BPOL into any of our revenue projections” associated with the company’s arrival. The county has long expected to see about $342 million in tax revenues from Amazon as it develops the new headquarters over the next 16 years. O’Donnell added that the company would have to apply for the program like any other business. Without the “Technology Zone” tax break, Amazon would also be responsible for paying $0.36 for every $100 of its gross receipts as part of the BPOL tax. Should it earn eligibility for that program, the company could see the rate cut in half if it can prove it employs up to 499 people in “business units with a primary function in the creation, design and/or research and development of technology hardware or software,” according to county documents. If Amazon can show it employs up to 999 people for those purposes, it could pay a rate of $0.14 per $100 of receipts. If the company exceeds 1,000 employees, it would pay $0.10 for every $100. The company hasn’t settled on the exact mix of job functions for the 25,000 to 38,000 employees who could someday call the Arlington headquarters home — Holly Sullivan, the company’s worldwide head of economic development, said at an event in Arlington last week that she anticipates a “50-50” split between tech workers and other staff on the campus, making it a pretty safe bet that Amazon could meet the program’s standards. And Tarczynska adds that this is the first she’s heard of Amazon being eligible for the tax break. The head of Good Jobs First, vocal Amazon critic Greg LeRoy, agreed with her assessment. Many of Amazon’s local opponents were similarly surprised to hear the news that the company could reap the tax savings, particularly given the frequent assurances from county leaders that Amazon would help relieve the recent strain on Arlington’s finances. “In all of the numerous meetings I’ve been to with the [County Board], they have never once mentioned the tech zone incentive,” said Roshan Abraham, an anti-Amazon organizer with Our Revolution Arlington. Tarczynska says that such a tax break “is a common subsidy in the region” — neighboring Fairfax County has a similar program — yet Arlington has regularly seen anemic participation in the program. When ARLnow last investigated the program in 2015, just eight businesses were currently taking advantage of it. These days, O’Donnell says the county has recorded approximately 70 businesses participating in the program since it began.